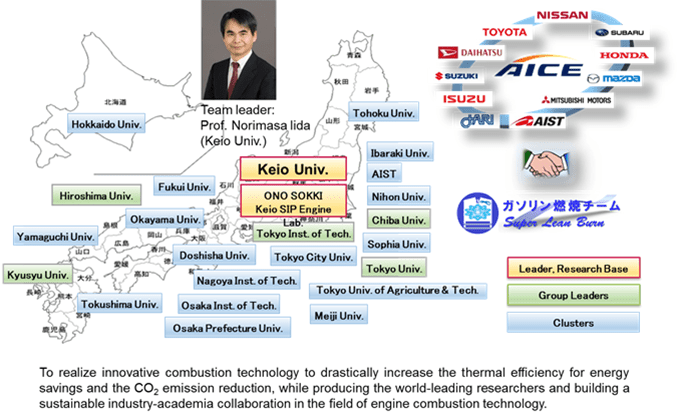 The “Gasoline Combustion Team for the ” Innovative Combustion Technology” program of ” Cross-ministerial Strategic Innovation Promotion Program (SIP)” by the Cabinet Office, Government of Japan is organized by Keio University as a leader and 22 universities (29 universities as a Cluster university) and has conducted research and development under 4 research groups (High Performance Ignition System Group, Flame Propagation Enhancement Group, Cooling Loss Reduction Group, Fuel and Knock Reduction Group). 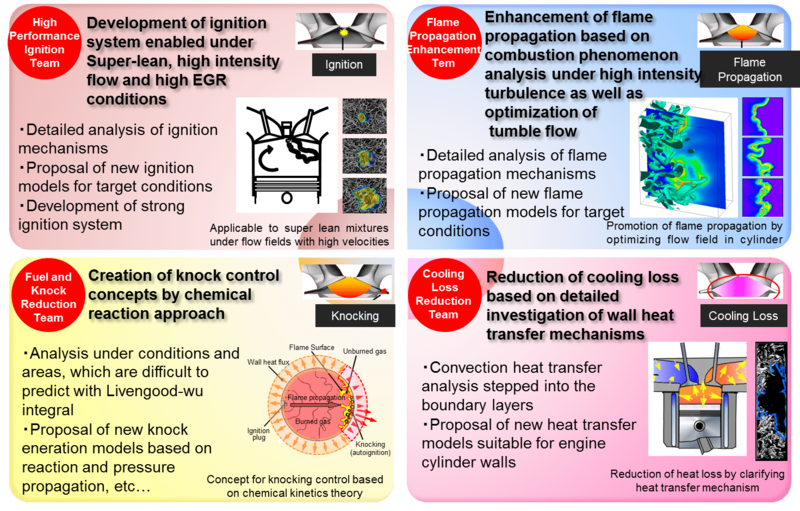 In addition, the Cycle-to-Cycle Variations Reduction Group and the Modeling Group have been joined the “Gasoline Combustion Team”since 2016, and the “Gasoline Combustion Team” has strengthened the cooperation on research with the “Diesel Combustion Team”, “Loss Reduction Team” and “Controls Team”. 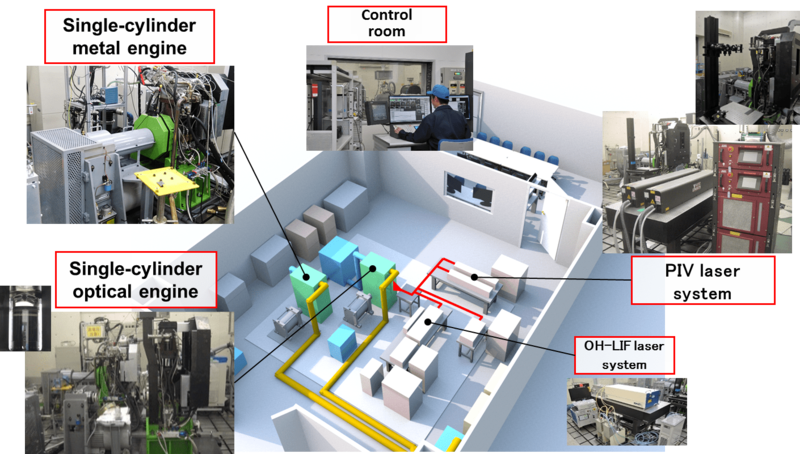 A SIP engine laboratory is built as an open laboratory and is shared by all members of the team. 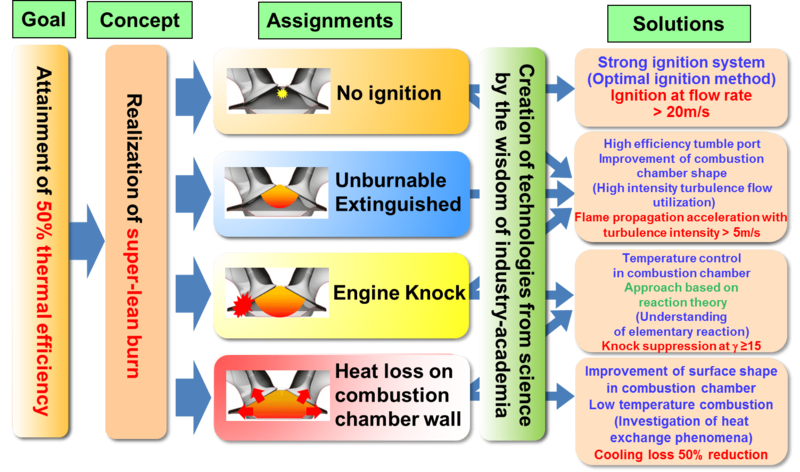 The “Gasoline Combustion Team” has been conducting the research on super-lean burn combustion with a support of the Research Association of Automotive Internal Combustion Engines (AICE) under the strong industry, academia and government collaboration. 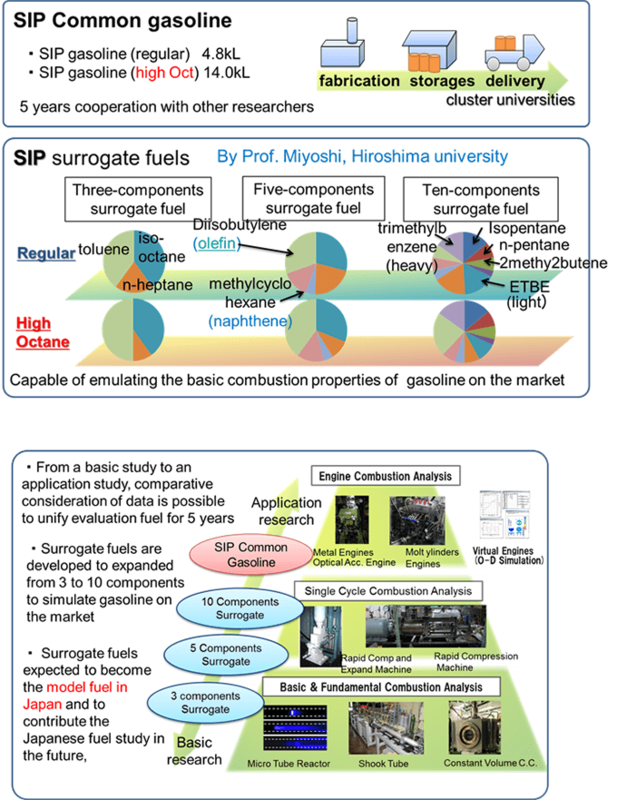 *”Constituents and Characteristics of SIP Gasoline Surrogate Fuels” is published in the “Download” page. 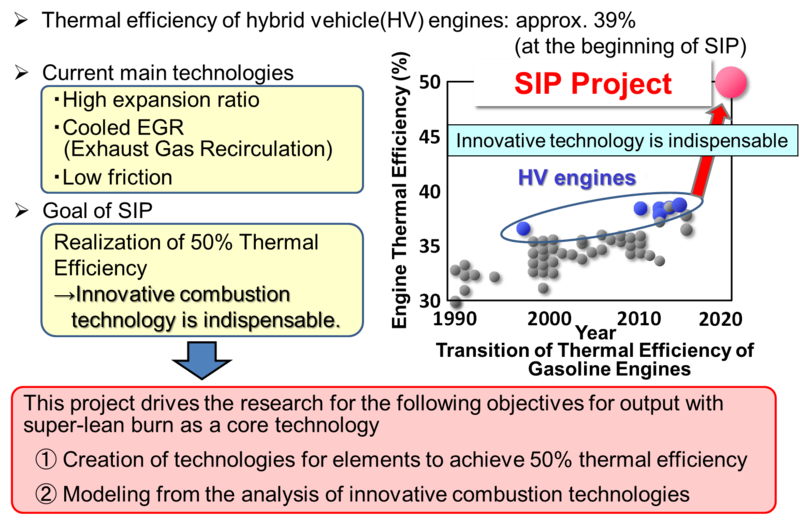 To drastically improve the gasoline engine thermal efficiency to achieve the target of 50% by 2020 with super-lean burn (super-lean, high intensity flow, high EGR) technology.